Just like professional athletes, content marketers, at times, need to step back and fundamentally look at the way they’re using content to consistently add value for their audience. However, if you’re new to content marketing learning the basics, fundamentals and best practices provide a great foundation in which to build your own personal knowledge base. 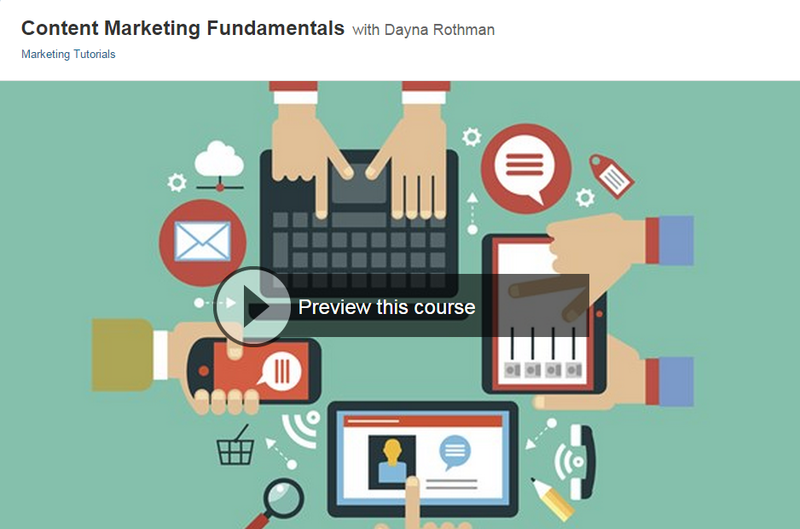 Dayna Rothman, Head of Content Marketing at Marketo has a brand new Lynda online course that’s titled ‘Content Marketing Fundamentals’. I highly recommend the course because Dayna covers everything from developing an effective content marketing plan and strategy to goals, technical skills needed, creating & distributing content; and of course measuring it’s effectiveness. Content Marketing Fundamentals is our featured piece of content today so hit that play button & give a listen to this episode of your ‘A Slice A Day’.